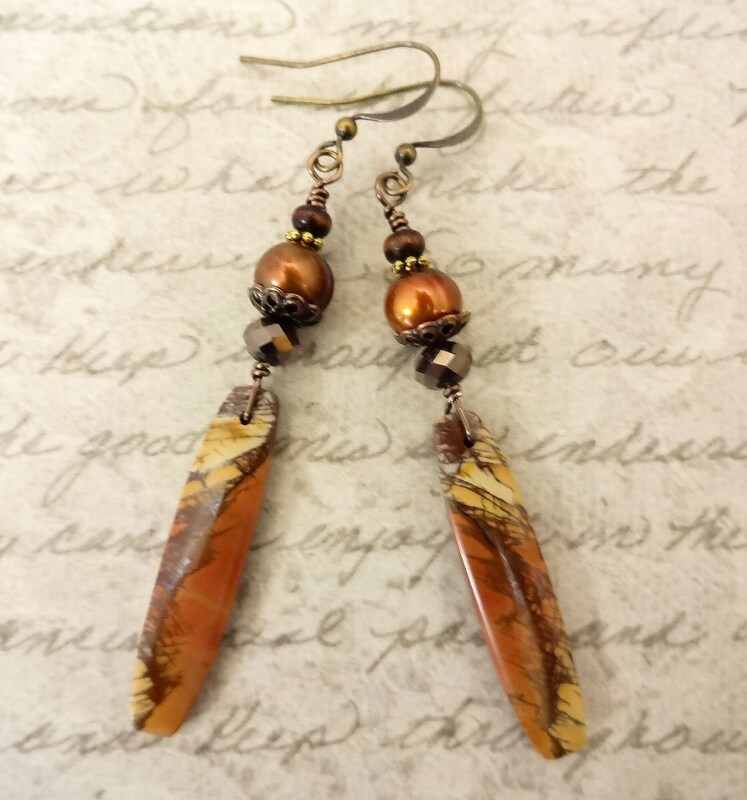 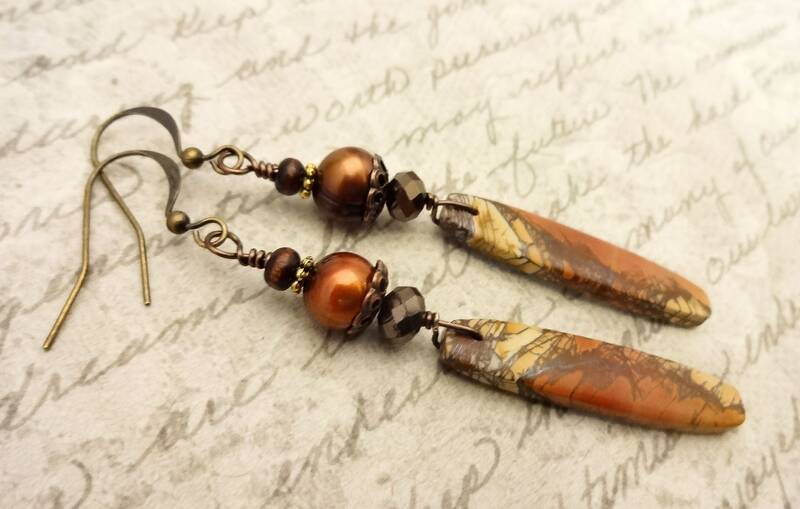 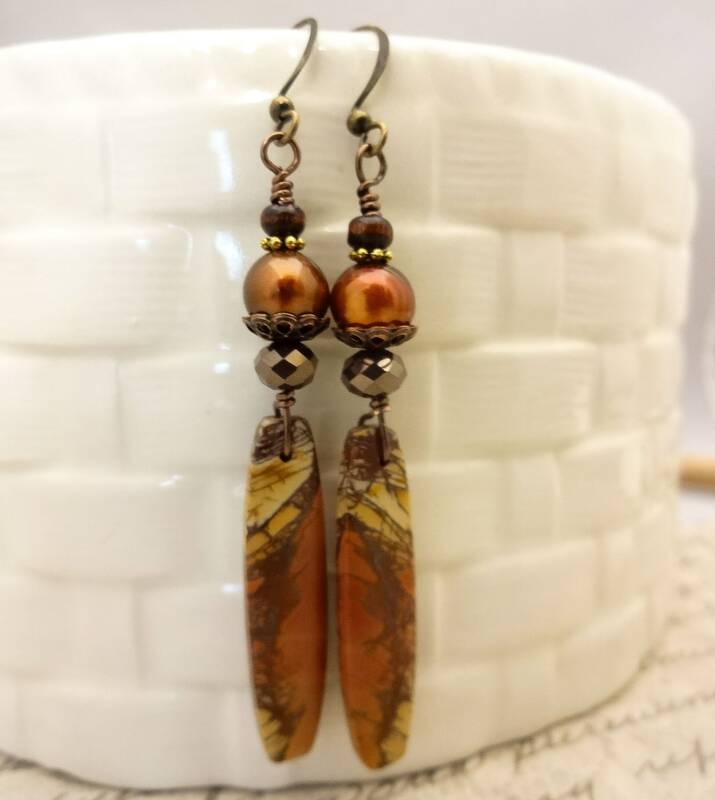 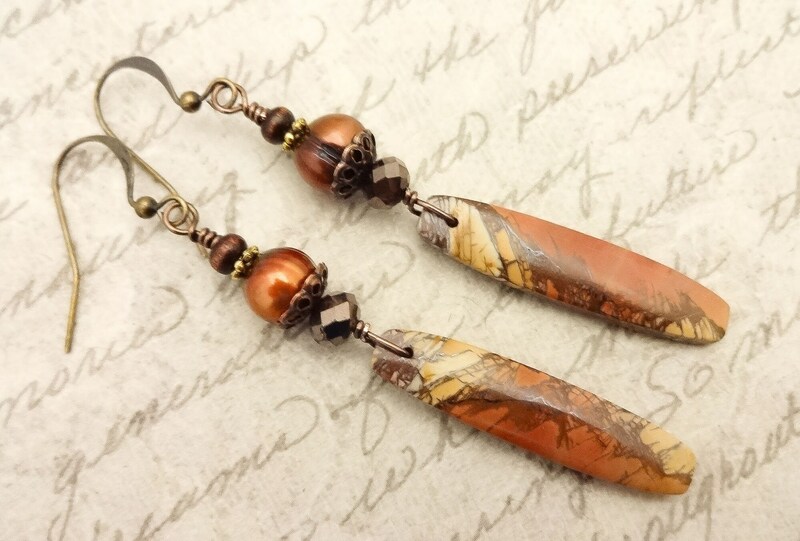 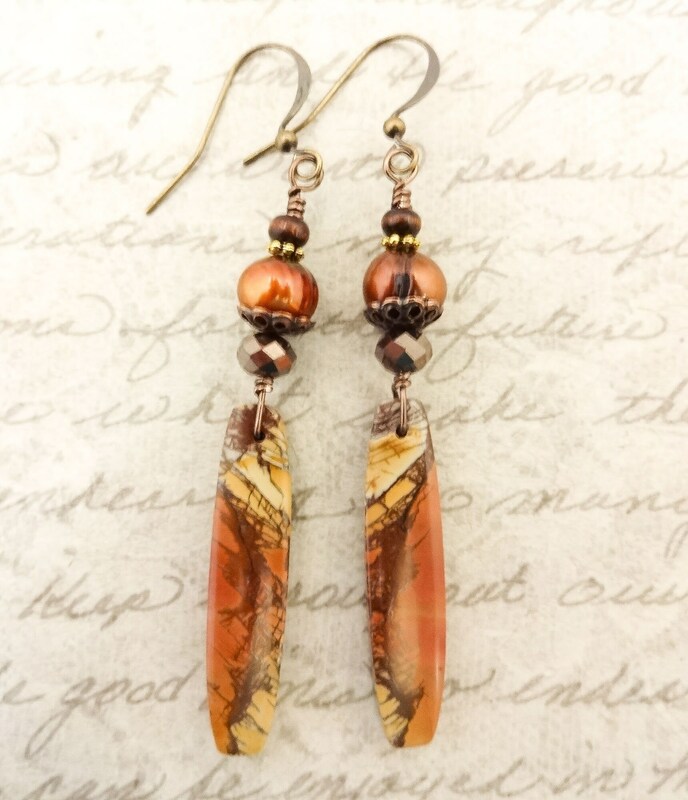 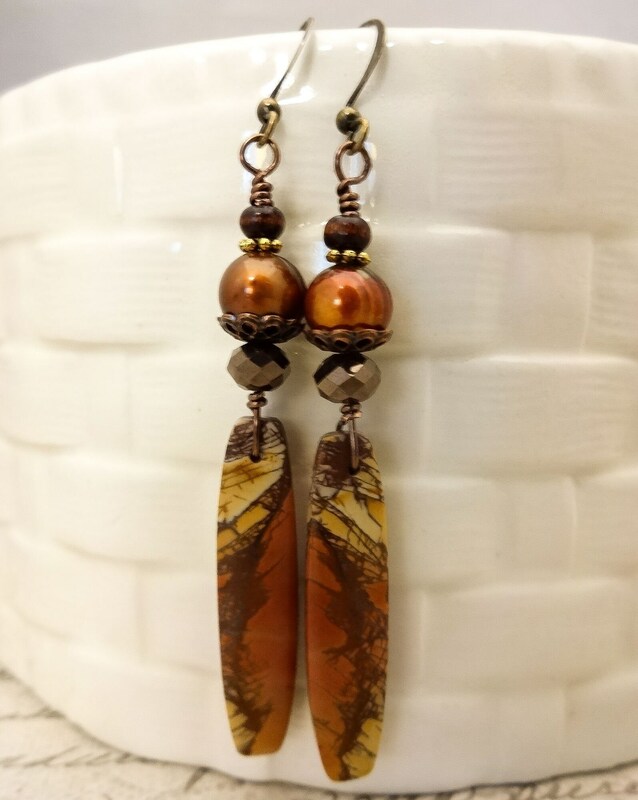 These gorgeous earrings feature hand crafted Cherry Creek Jasper sticks from an artist in Oregon. 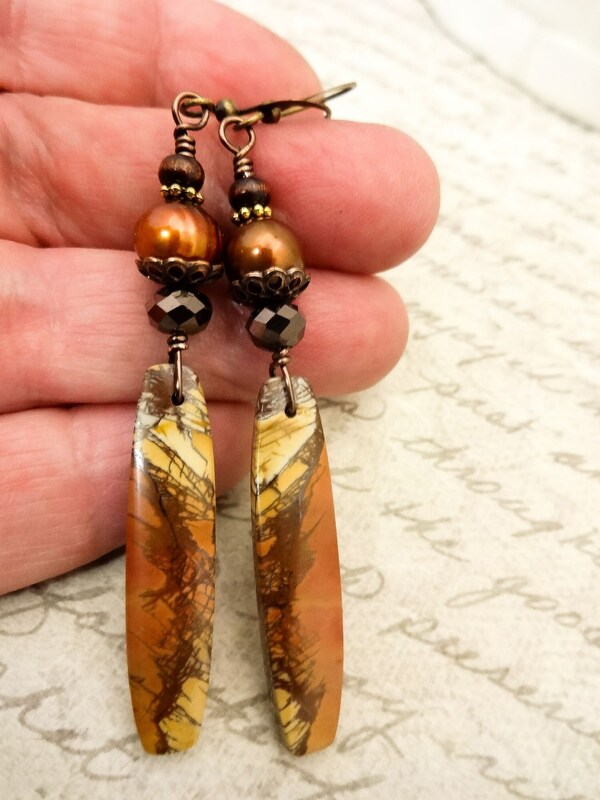 I'm a little addicted to these stones with their beautiful patterns and sheen. 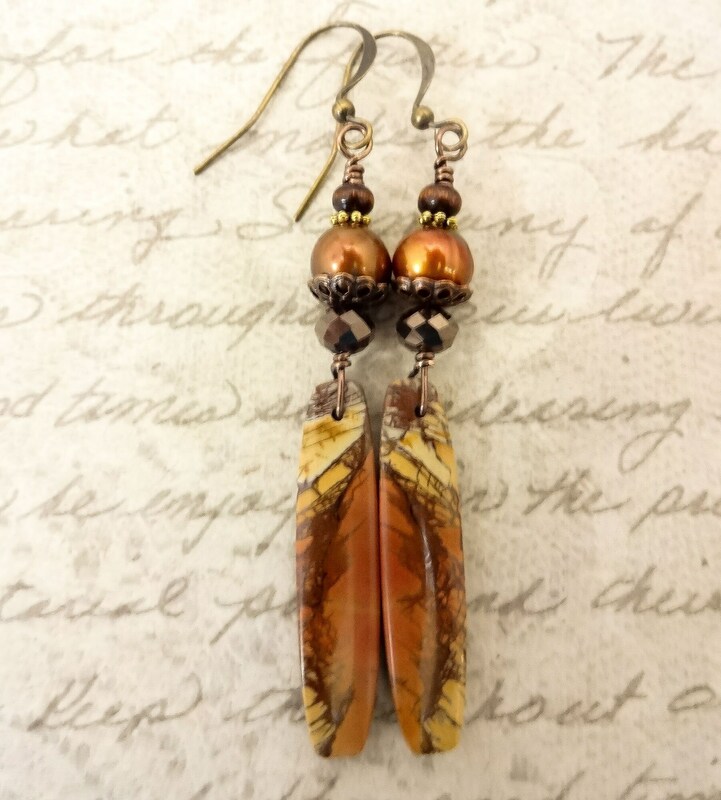 Total earring length from the top of the wires to the bottom of the stone is a little over 3 inches. 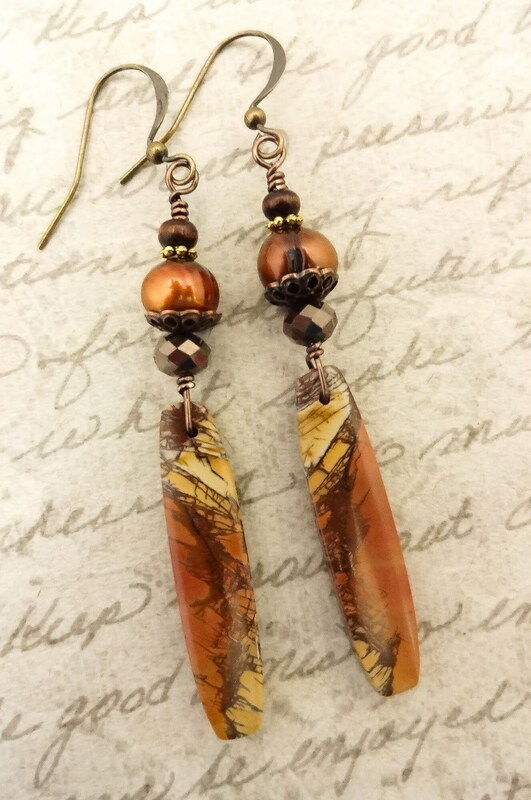 I do have other options for ear wires in the drop down boxes.